On Monday, July 13th, during its regular meeting at The Beekman Arms, the Rhinebeck Rotary featured a presentation by Dr. Alison Nohara, director of the Division of Neuro-Interventional Surgery at Vassar Brothers Medical Center, on stroke, its warning signs, and the state-of-the art interventions available to patients in the Hudson Valley area. Vassar Brothers has constructed a $5 million dollar imaging suite and recruited Dr. Nohara, a specialist in Neuro-Interventional surgery, as well as imaging for strokes, aneurysms, and other vascular impairments of the brain. “Our aim is to stop strokes while they are happening,” said Dr. Nohara. Dr. Nohara began with a description of the two types of strokes: bleeding and clotting. She emphasized the importance that family and friends can play in identifying stroke. 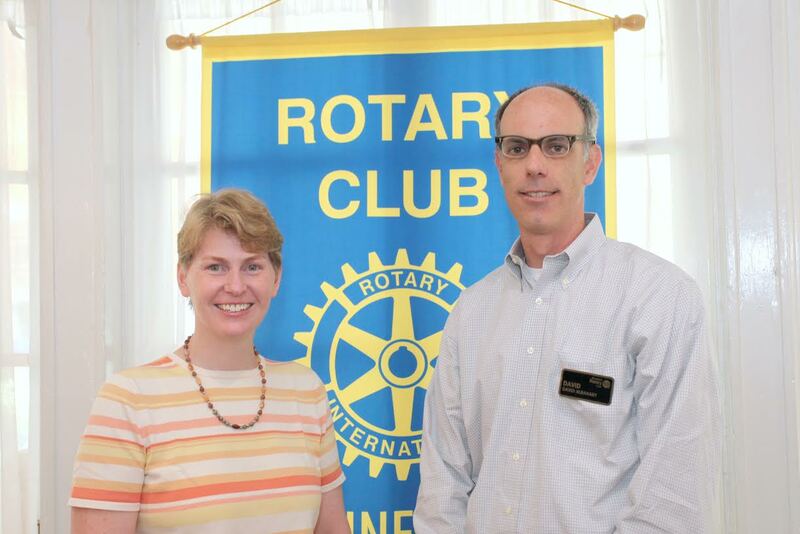 The Rhinebeck Rotary Club meets on Mondays at 12:15 pm at the Beekman Arms throughout the year. The Rotary is a humanitarian organization dedicated to enhancing the lives of others through local, national, and international service projects. The weekly meetings feature speakers covering a variety of human-interest topics. For more information on becoming a member, or to reserve a speaker’s spot at an upcoming meeting, please call Lou Trapani at 845-876-3088, ext. 14.